Huge kudos to my very good friend Jay Salser for his editing on this article. It was crafted by Bernard Helman in his own words. Our growth has been amazing, and the fact that these great cars keep surfacing.. Slowly, we’re connecting ’67 owners globally. This 67 convertible is mine since 1987. It was a secondhand car in a very good looking condition, matching numbers. My daily driver was a 68 Chinchilla gray 1500 bug and I wanted a summer car. 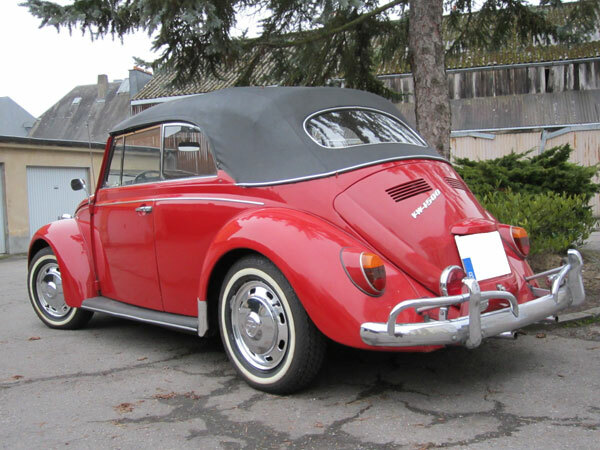 This convertible beetle was the car I wanted because It was looking like my 68 and was red. A few dollars for the seller and the vert was mine. 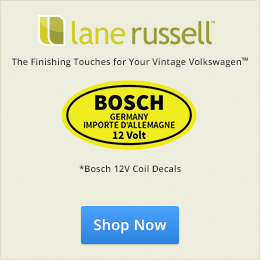 As the headlights where in a bad condition, I went with the VIN number at the local VAG garage for a new pair. At my surprise, they told me that according to my VIN the headlights must be oval. In fact, the whole car had been upgraded in the 70’s when the big bumper beetles were more valuable than the older models. The typical front and rear 67 parts (front hood and rear decklid) had been changed with parts from an orange big bumper car. 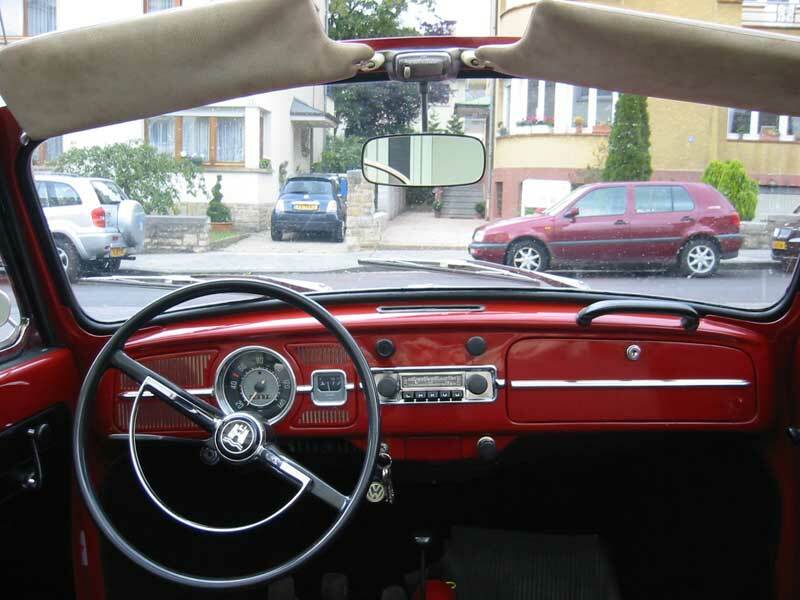 The left door was from a blue super beetle, the dash knobs were a mix of 67 and older models. All the rest was 67. 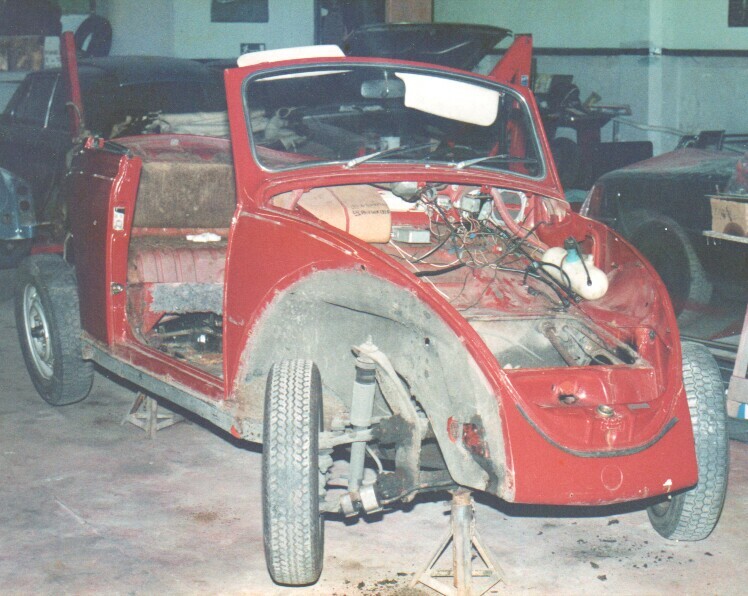 In 1988, the car was restored to the old VW look, the floorpans and front wings changed. A copy of a 67 vert rear deckled was fabricated. As I couldn’t find back than a decent 67 front hood, I installed one from an older car. The heather channels are still original and in good condition. According to the birth certificate, my car is from November 66, ruby red with black interior and black roof. It has disc brakes, 4 lug wheels, dual brake system and the 12V option. Originally destined for export and according to the certificate, for Norway, the car was sold in Belgium. As from 1989, I have spent my time gathering informations about this car and finding back all the vert parts. A friend of mine sold me in 1995 the probable original rear red decklid as it has the same original dealer stamp were the car was sold new. A new NOS front hood was also found in 2000. These two parts are well stored. In 2012, I found a nearly new ruby red left door in Germany. 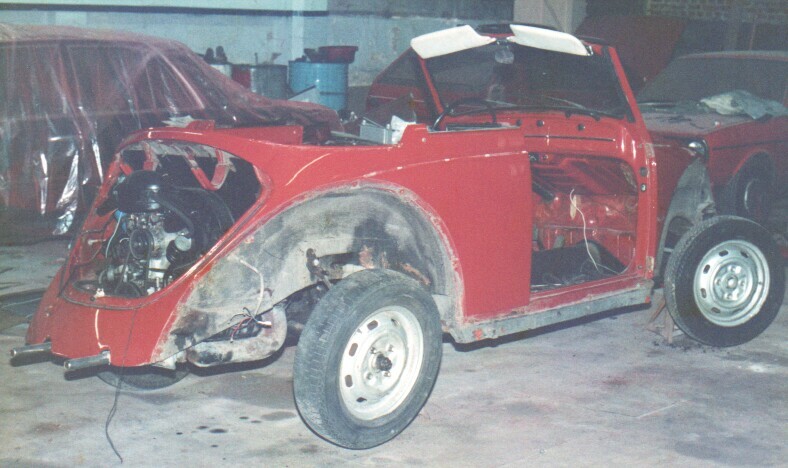 The door was removed from a 67 in 1972 after the car was destroyed in a car crash. The only non original add-on is the NOS 67 steering lock which I added in 2012 and was an option in Belgium, but standard in France and Germany. An emergency flasher was also added for safety reasons. Since 1995, the car is only used when the sun is shinning and is driven for a few miles only and moved with me from Brussels to Luxembourg 10 years ago. 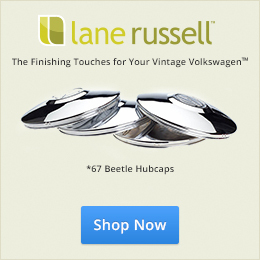 Thanks, Bernard, for sharing your story with 1967beetle.com. Very cool! 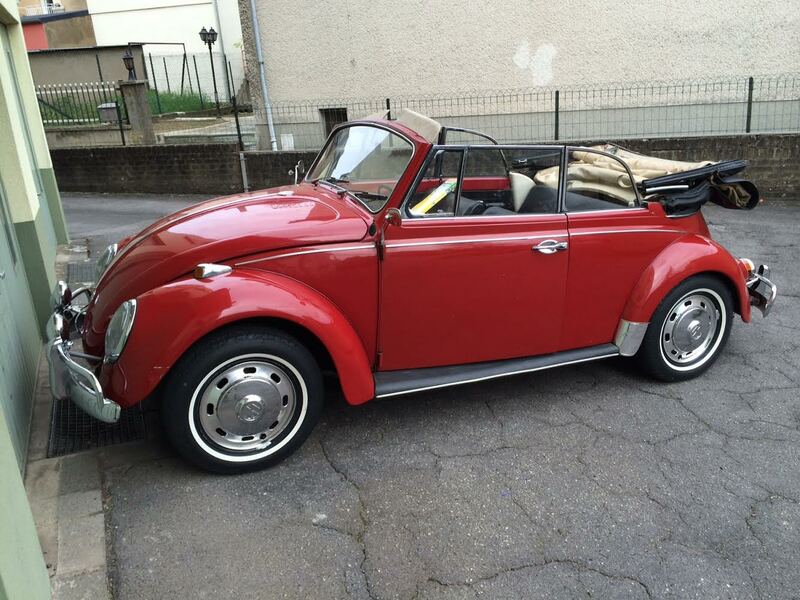 I am working on a 67 Euro bug now for myself, should be ready to roll by next week, love the 67 Euros!